My country makes me gut-wrenching. There is no science fiction, we'd been long alerted by the devastating pollution rare earth refineries brought to us, Papan- Bukit Merah, Baotou, China; tragedies of leadership betrayal. Malaysia environment NGOs have been struggling to stop the project, Nov 13, 2012, the Malaysia High Court once again revoked the appeal and granted green light to Lynas Corporation for operation. Look at the approval of Lynas Advanced Material Plant (LAMP), it blemished a beautiful place i called home. Imagine how many beautiful mangrove forest had put down for the refinery of a 140 football fields. 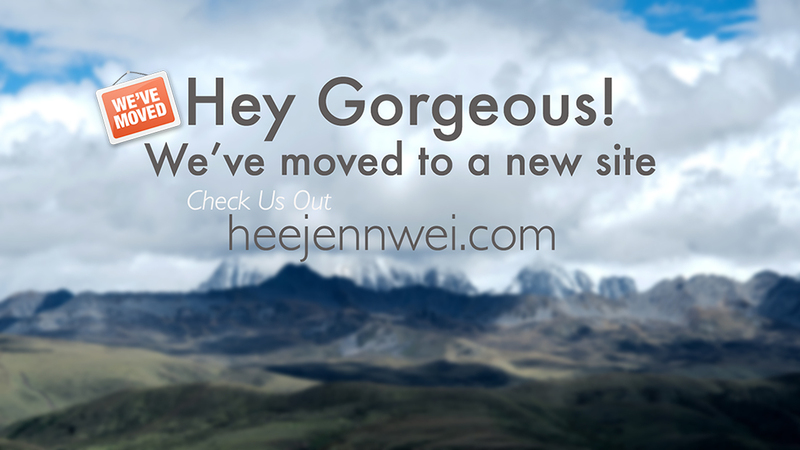 How many magical flora, fauna will lose their habitats? How long are we going to suffer under the governing bodies that lack in social responsibilities? Is the life of Malaysian rather insignificant to the Malaysia Government? The "Elites" pay no regard, despite the protests, they welcome Lynas with 12 years tax exemption, approved the use of Cyanide in gold mining, building massive petro-chemical plant and giving lands for another massive dam. the Government responded toward these environmental cries had turned to be childish and ignorant. I was devastated and heart broken, the way my Government treated this matter like a gag, a matter that could burden the fate of our future generation, a matter that could blot out the rich abundance nature. 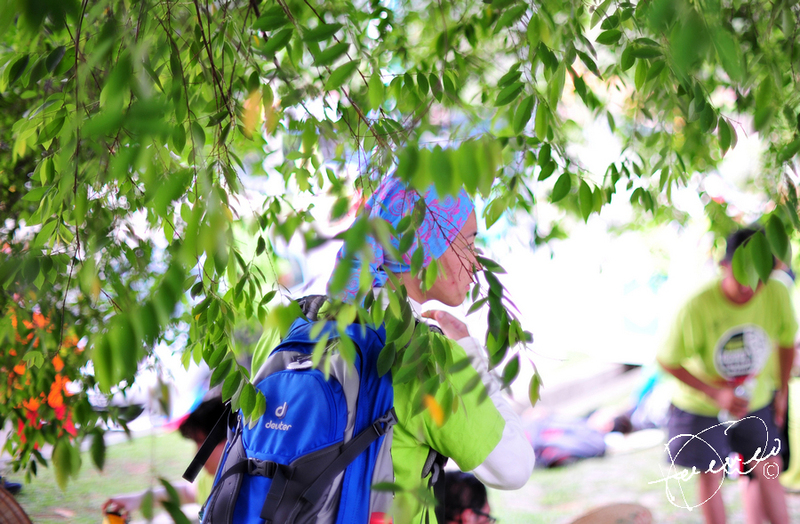 Himpunan Hijau: Green walk is deem as a movement towards the celebration of human spirit, in expressing our constitutional rights as rightful citizen of a nation moving forward onto the ideal of an inclusive nation that is founded on justice, fairness and peace. 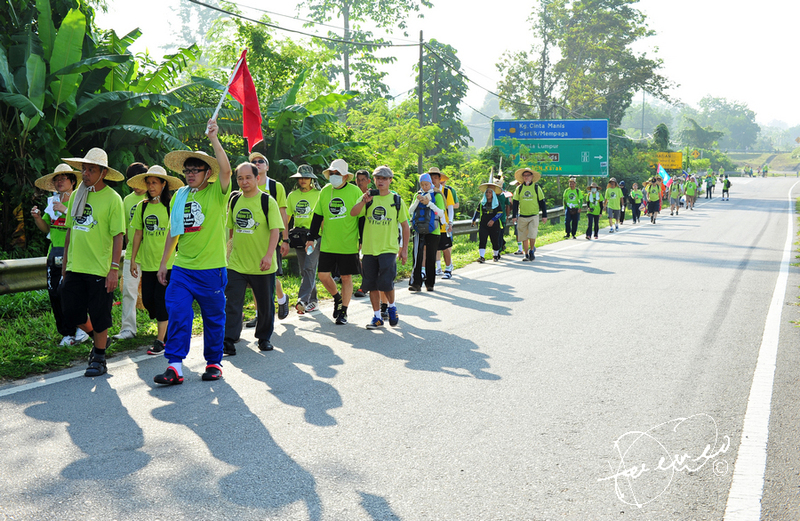 Today, Nov 21, 2012 onto their Day 9 Green Walk, from Bentong to Bentong Hot Spring (18km). [interview] after receiving his architecture degree, he went to Canada to further study in Environmental Science, which was strongly opposed by his father. He insisted and worked in Canada for 15 years before returning to Kuala Lumpur to his father's request. He was then worked as an architect and built several buildings. 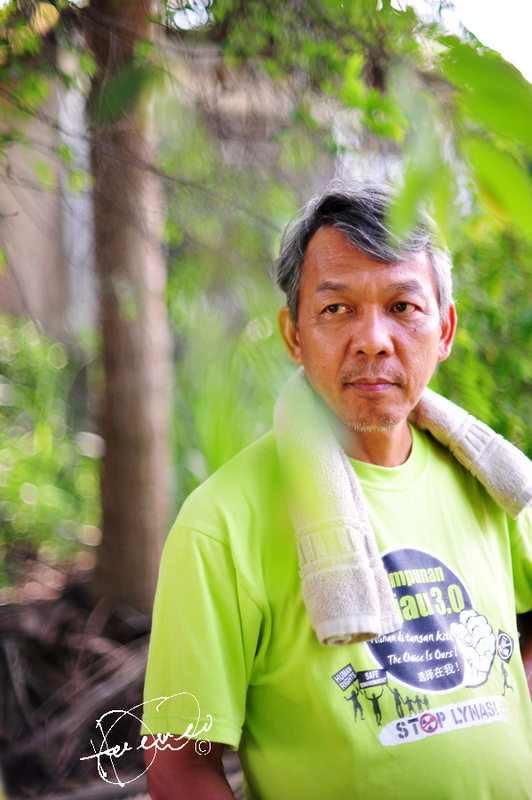 He could not stand the life in Kuala Lumpur and decided to go back Sabah, runs a Palm Tree Plantation and Organic Farming. Settled for 5 years and has been leading a campaign against the construction of coal electric plants. 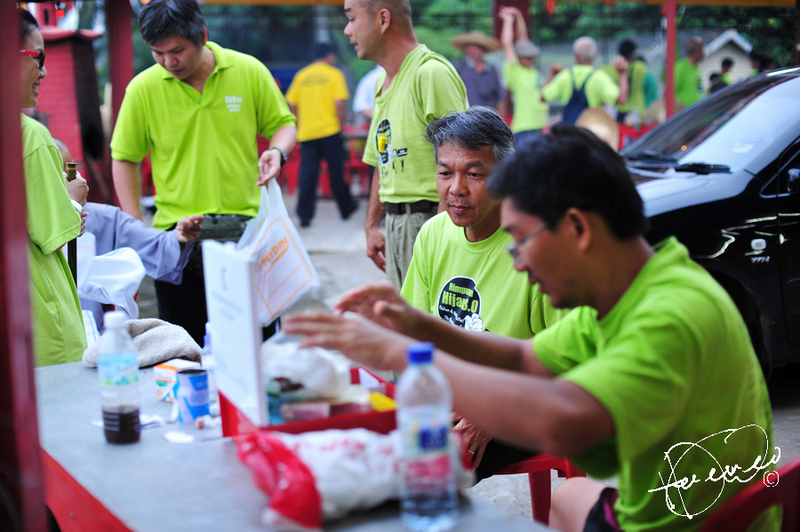 He led several Himpunan Hijau Campaigns to Stop Lynas! 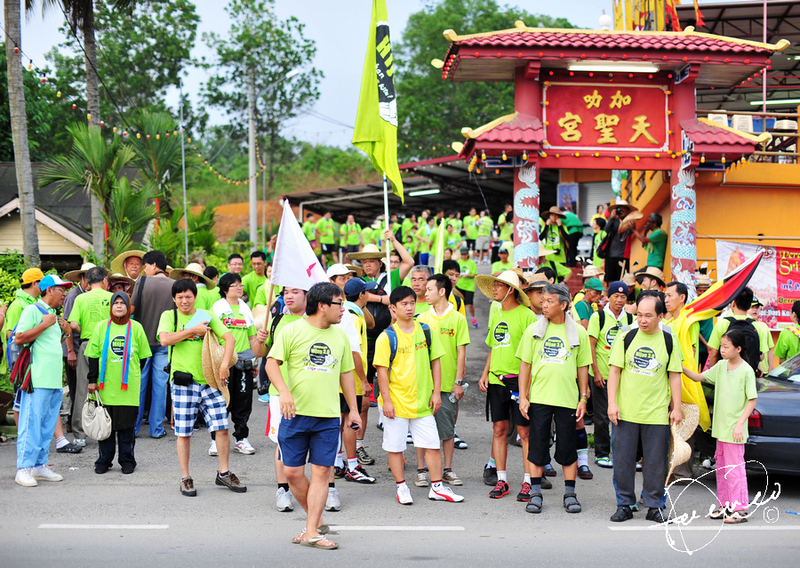 And had inspired the Ascetic 300km Green Walk, he is dubbed as modern days "Green Warrior". Sami Sifu Kong Li (空理法师) meditate for inner strength. Approximately 200 participants gathered at the temple, giving their support. P.Y.T. powered by Mighty Mouse! 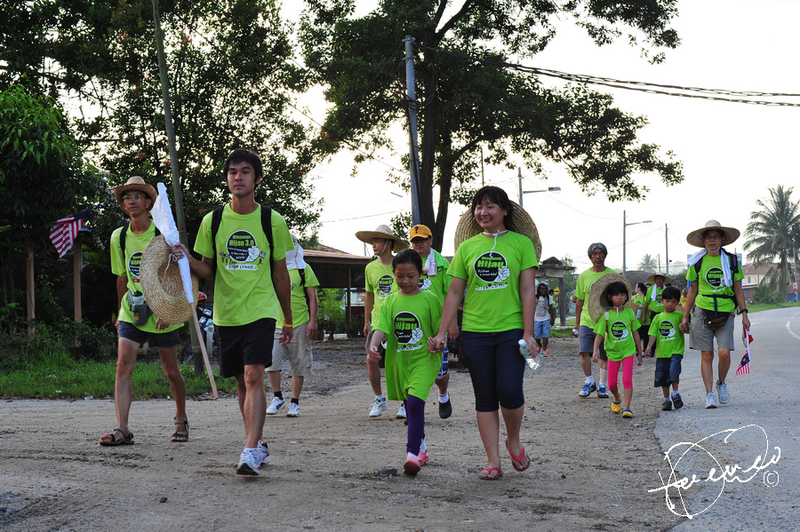 Green Walk had inspired lot of mothers to stand up for their children, heart warming family walk! 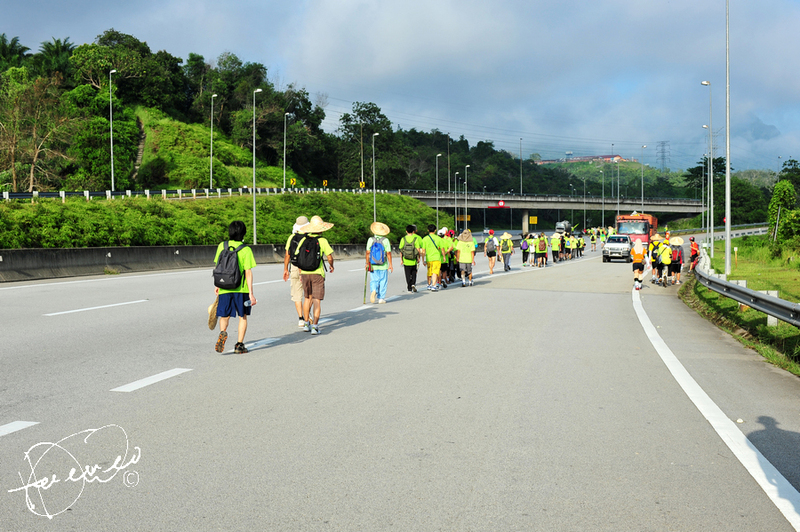 Karak-Bentong undoubtedly one of the most dangerous Green Walk route ever, as participants will be walking on the Karak Highway, one of the highest accident prone highways. 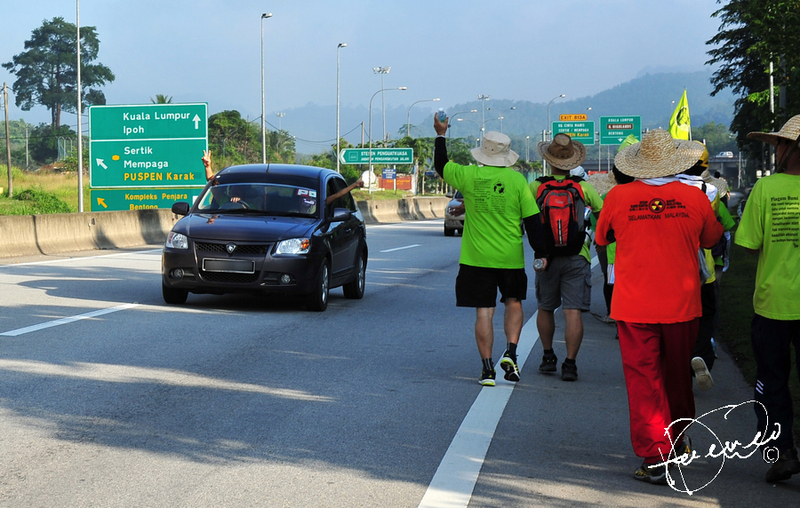 Participants crossing junction on the Karak Highway. Passed-by car cheering for the participants, a lot of thumbs up that day! 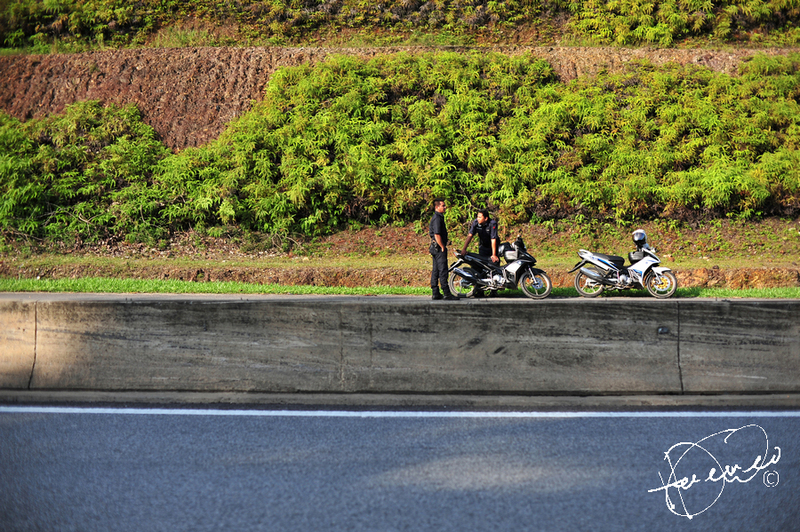 Crossing on a tight squeeze at Karak Highway, barely room for the participants to stay on the safer white line. "Sir, what you need is a double protection. 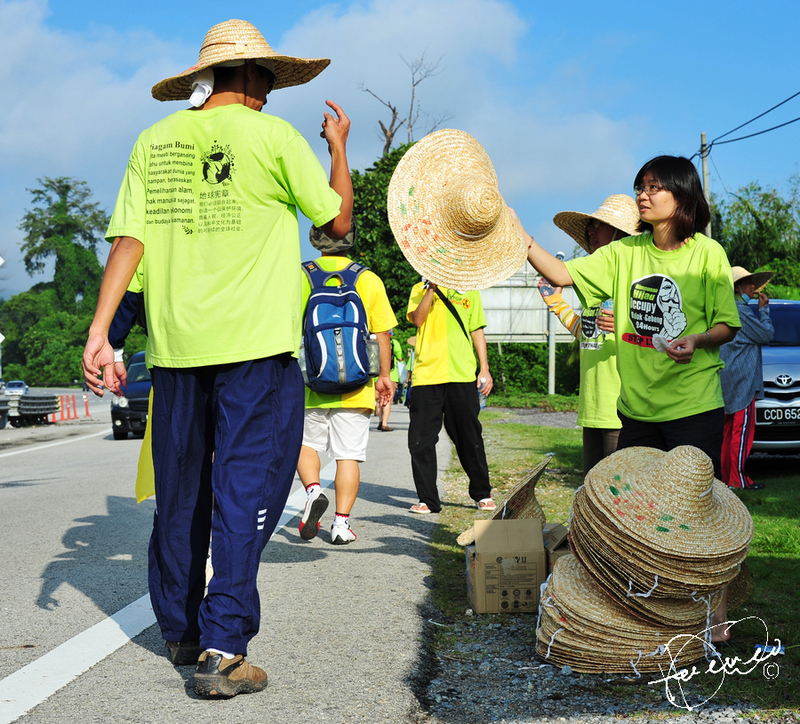 Please take this extra straw hat!" 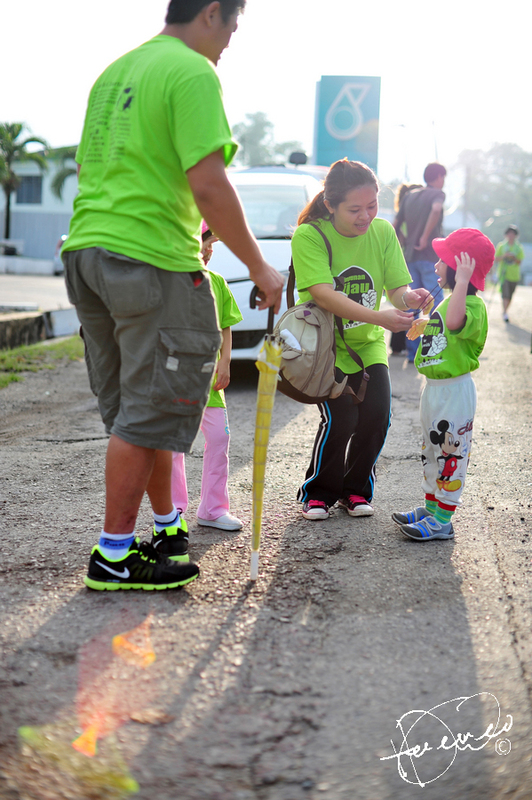 Police officers safeguarding the green participants on the Karak Highway. 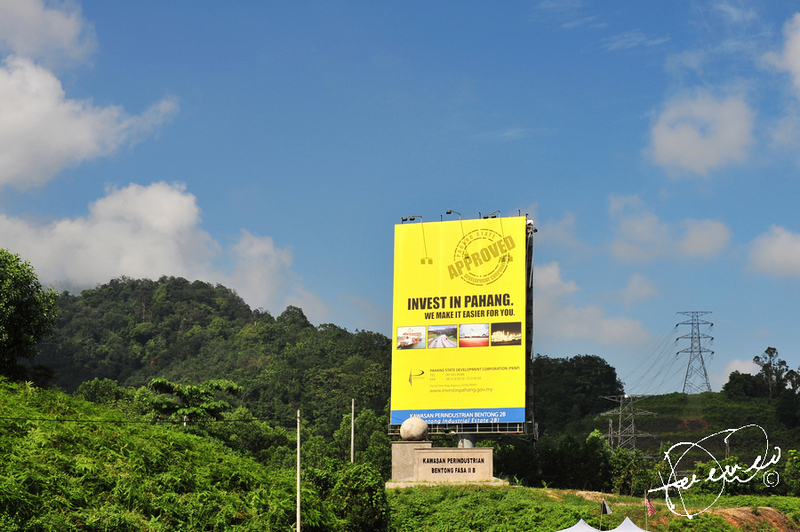 "Invest in Pahang, we make it easier for you." APPROVED! Now, you know why so many plants in Pahang? For 12 long years, he is always on my left, ventures through many adventurous "fights". We are no longer living incumbent on current governing parties; Malaysian citizens had stretched out onto political maturity. We might be a third world country but we are not imbeciles. Our children shall not be living under the risk of radiation. Please listen! I beg you my Government; it's our health you're playing at stake.